Timeless arched driveway gates are built to last. Suitable for non standard opening sizes. Offers privacy and security at a cheap price. 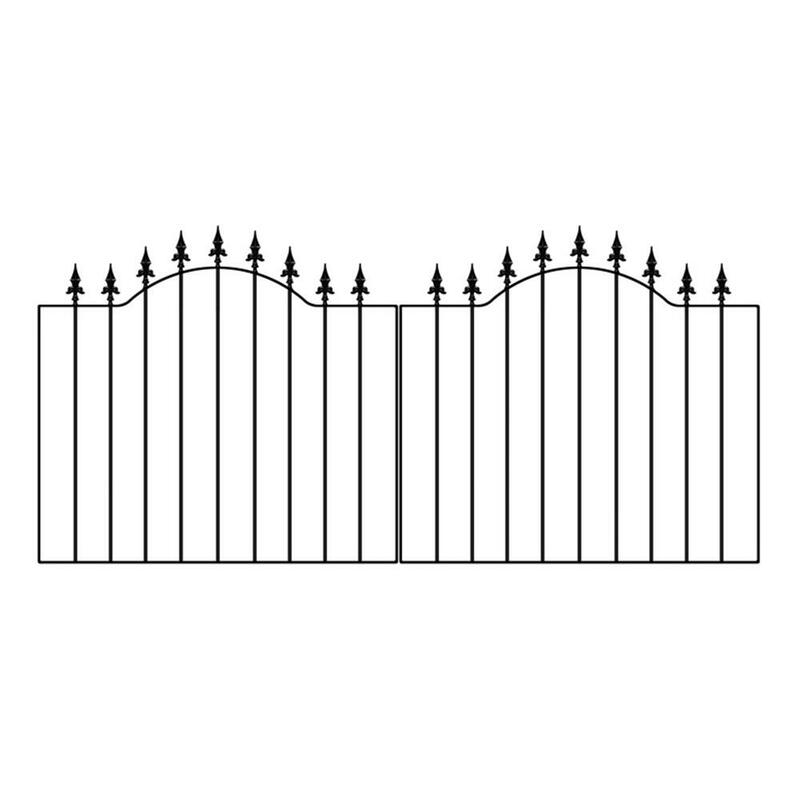 Manufactured from zinc plated steel components Warwick metal driveway gates are built to last. 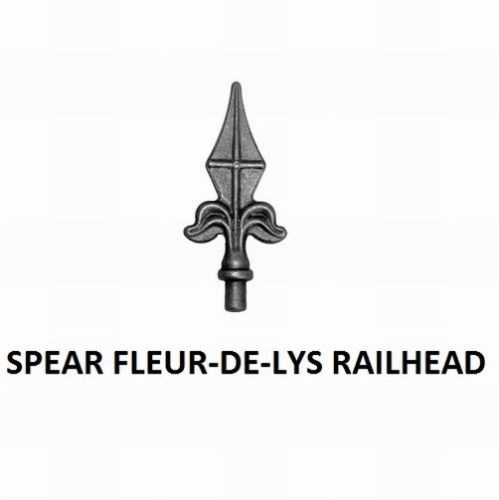 Featuring imposing spear top finials coupled with a timeless arch top the gates are ideal for securing non standard opening widths making them a cost effective alternative to made to measure gates. Warwick gates have a simple timeless appeal. 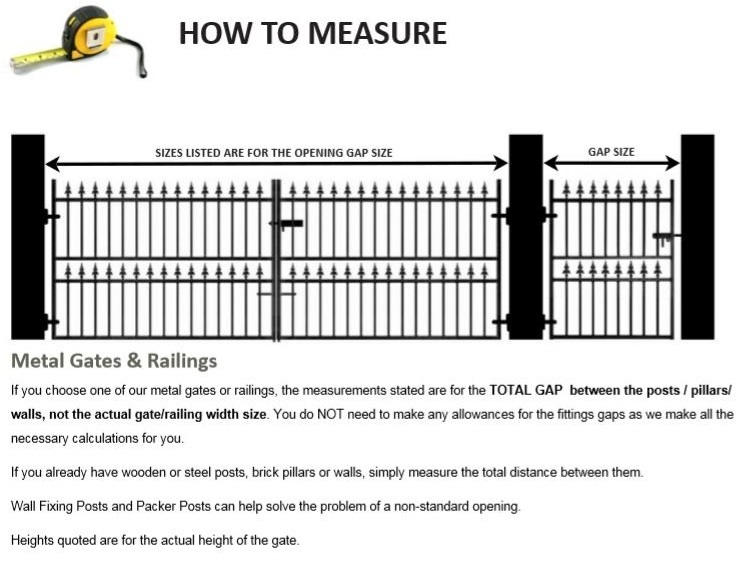 Ideal alternative to made to measure gates. Constructed from zinc plated materials to ensure maximum protection against the elements. Features 25mm x 8mm frames and 12mm infill bars. 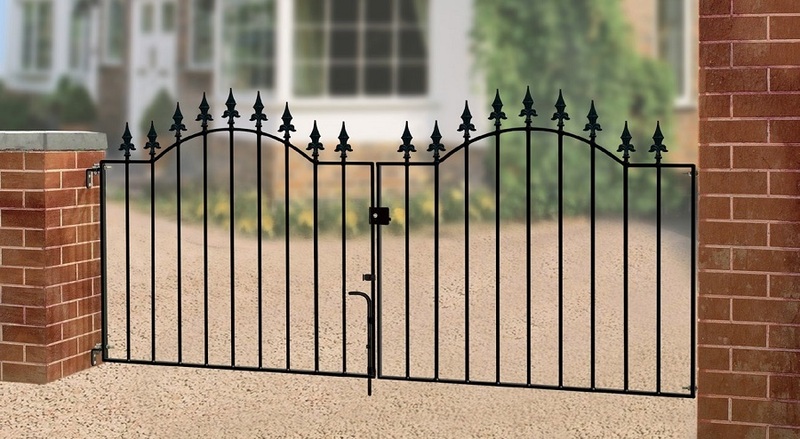 Warwick double metal gates are painted with a black powder coated finish. 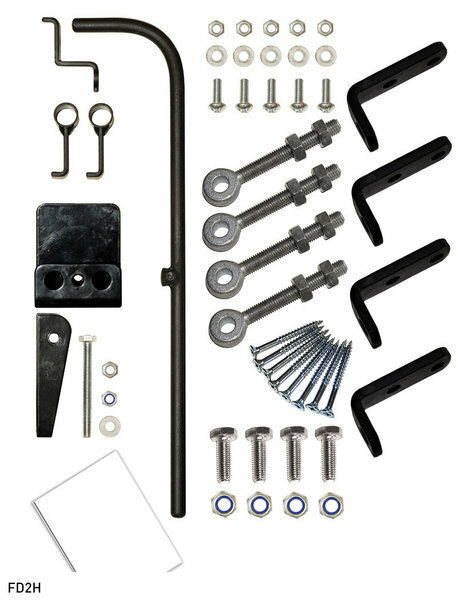 Supplied with adjustable hinges, latch, drop bolt and fittings. Looking for help and advice prior to placing an order? If you dont know which size to order click here or for more general enquiries have a look through the FAQ`s or call us now on 0844 804 5577 to speak to us in person.